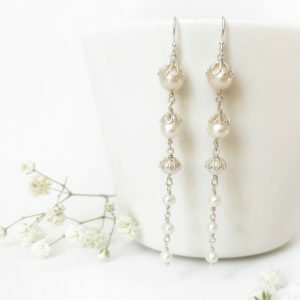 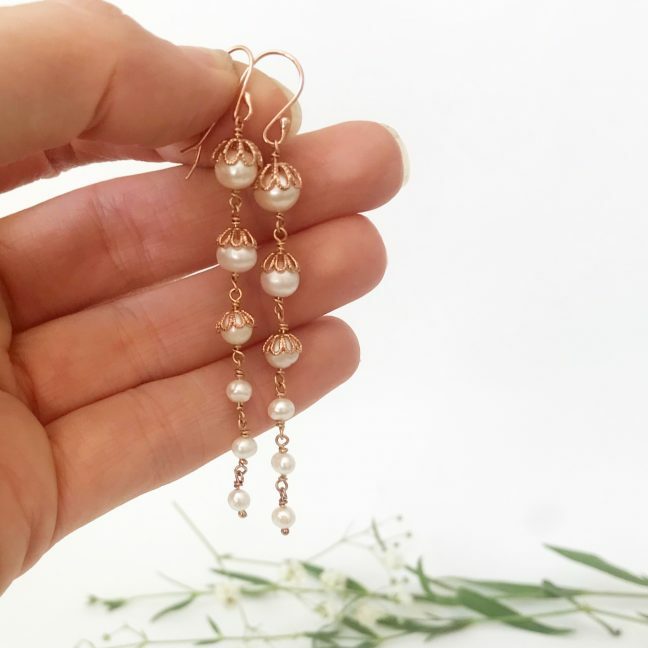 These pearl and rose gold bridal earrings are simply elegant and stylish. 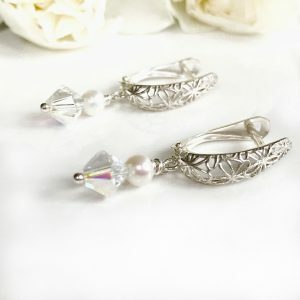 The bridal earrings are lightweight and easy to wear. 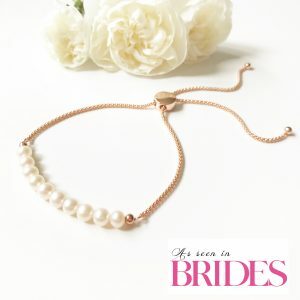 The rose gold filigree cups surrounding the pearls add a touch of sparkle and a uniqueness. 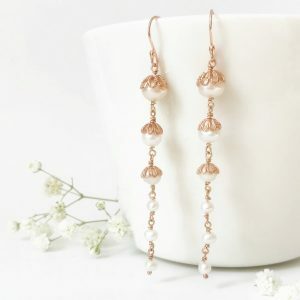 Rose gold has been the metal of choice for several years, therefore making the earrings extremely on trend. 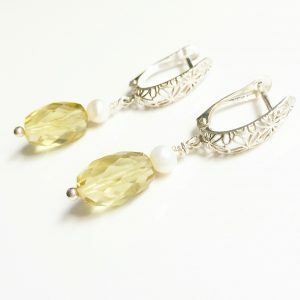 The earrings are the perfect addition to any jewellery lovers collection.